The Brooklyn Nets added another win to its list last night by beating the Orlando Magic 114-110. There was no scenario where it looked like it would be a blow-out on either side. The game was close all the way, just a back and forth, one team up, one team down, with the Nets pulling it out at the end. The Nets improved to 26-23 overall and 14-11 at Barclays Center with last night’s win against the Magic. Meanwhile, the Magic fell to 20-28 overall and 8-15 on the road with the loss. 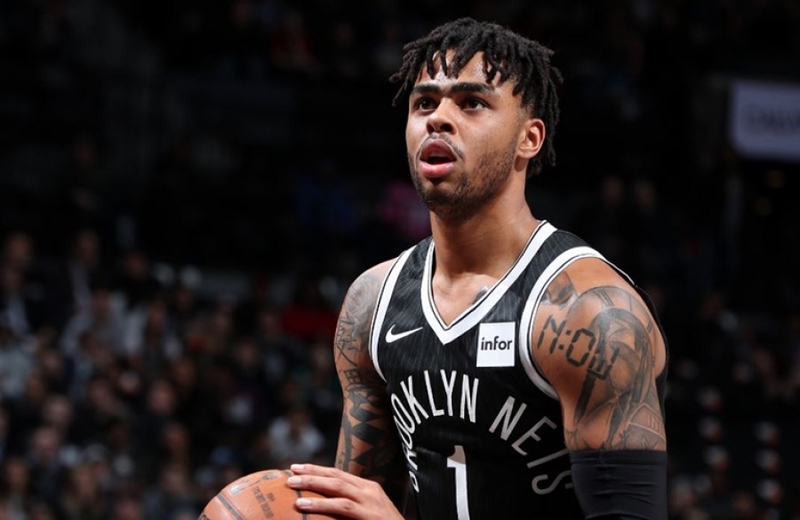 Additionally, the Nets have won five straight games, seven-straight at home, and 11 of their last 12 at Barclays Center with last night’s victory. And, if you’re wondering if the Nets are still in the NBA playoff hunt, yes, they are holding on to the sixth spot in the NBA’s Eastern Conference, if the NBA Playoffs were held today. For the Brooklyn Nets, Spencer Dinwiddie led all players with a game-high 29 points (10-of-17 FG) with three rebounds, three assists, and a steal in 30 minutes off the bench. Meanwhile, D’Angelo Russell led all Nets starters with 25 points, a game-high 10 assists, seven rebounds, and two steals in 34 minutes. Earlier in the season, there was some chatter that Dinwiddie and Russell couldn’t co-exist on the floor together, but with the passage of time, things are looking better for this duo. As for the other Nets players making it happen when they got the ball, DeMarre Carroll recorded 19 points (6-of-13 FG) and four rebounds in 32 minutes off the bench for the Nets. 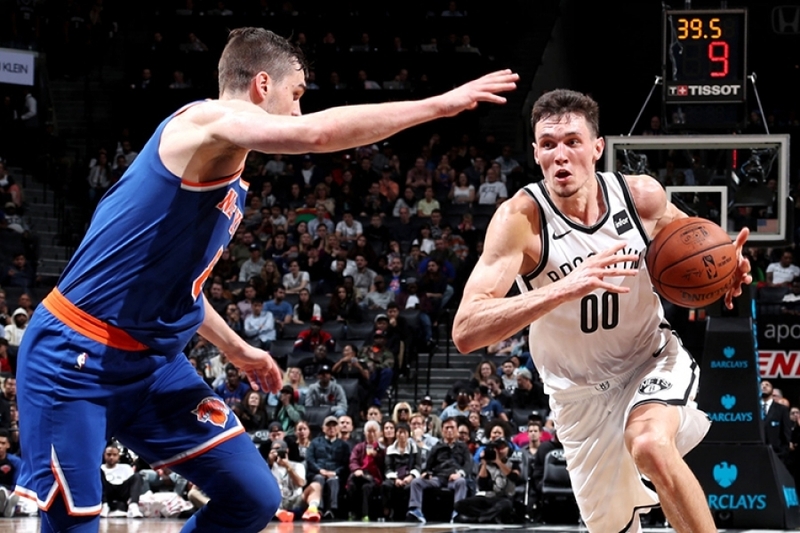 Rodions Kurucs, a starter for the Nets and an NBA rookie, posted 13 points, four rebounds, one steal and one block in 22 minutes. Joe Harris also scored 13 points and four rebounds, and; Jarrett Allen registered a team-high 11 rebounds with six points and two assists in 29 minutes. Leading starting scorers for the Orlando Magic were, Nikola Vucevic, who scored 21 points, 14 rebounds, five assists, two steals, and four blocked shots; D.J. 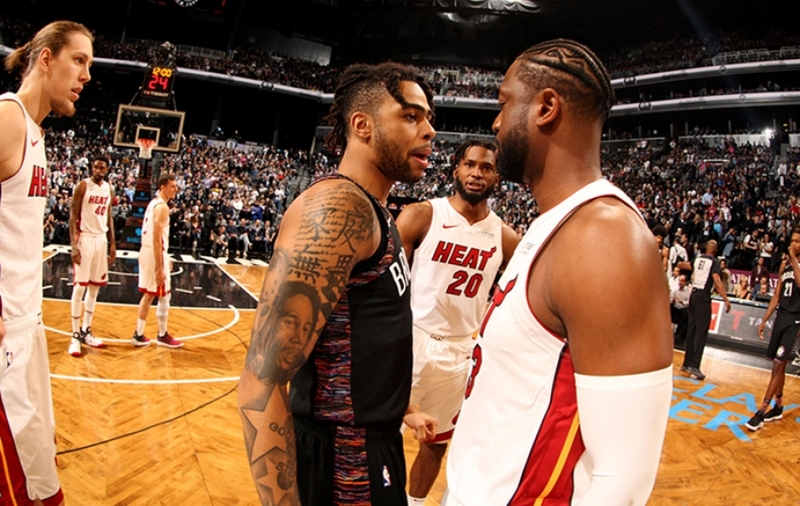 Augustin registered 19 points, six assists, three rebounds, and two steals; Jonathan Isaac tallied 16 points, four rebounds, two assists, and three blocked shots, and; Aaron Gordon added 10 points and six rebounds. Jonathon Simmons came off the bench for the Orlando Magic and chipped in 13 points and three assists. Next up: the Orlando Magic head home to play the Washington Wizards on Friday, January 25, 2019. Meanwhile, the Brooklyn Nets will also be at home to host the New York Knicks at Barclays Center also on Friday, January 25, 2019, at 7:30 p.m. ET. For the second straight game, the New York Knicks took the floor without Amar'e Stoudemire and Jeremy Lin. They were able to get a win against Milwaukee Monday night without them as Carmelo Anthony scored 28 points, hitting all 12 of his free-throw attempts while battling a tender groin. But last night, it was the Orlando Magic with their 32-18 record taking the floor at Madison Square Garden. Magic's guard Jameer Nelson took immediate advantage of the Knicks backcourt, scoring 11 points on 5 of 8 shooting. Orlando took an eight-point lead (24-16) with a little less than 3 minutes to go in the first period. New York finished the period outscoring the Magic 9-5 as Steve Novak scored 5 of those points cutting the deficit to 4 (29-25) as the period came to an end. With Orlando's Dwight Howard on the bench to begin the second, The Knicks scored the first 6 points to take their first lead of the game (31-29). It started a spark that elevated New York to a shocking 16 point lead before halftime (57-41). With crisp passing on the offensive end and suffocating defense, the Knicks finished the second period on a 26-12 run. It was capped by a Novak 3-pointer at the buzzer. Both Novak and Anthony finished with 13 points apiece to lead New York while Iman Shumpert, inserted into the starting line-up, contributing 10 points. They shot 54% from the floor while limiting the Magic to 40%. Orlando, who relies heavily on their 3-point shooting, missed 11of their first 13 half attempts (15%). Meanwhile, after a rough start themselves, where the Knicks missed seven of their first nine 3-point attempts, they made four of their last six. The momentum they took in with them carried over to the third period. If this was a boxing match, the refs would have stopped it so Orlando would not have endured further damage. How good did it get for the Knicks? At one point, the Knicks scored 21 straight points, leading by as many as 39 points (88-49). How bad did it get for Orlando? They missed eight of their first 11 shots as they watched New York pull away. Magic's head coach Stan Van Gundy was not a happy camper in trying to explain the lopsided loss. "What's shocking to me is that a team that's playing over .600 basketball could get absolutely rocked by as many teams as we have been." On the 21-point explosion, he said, "we got behind, they hit a lot of shots, they got us down and then we just sort of died." With the Magic having nothing to lose and Howard and Nelson riding the bench dumfounded by how the game got out of hand, the reserves came out and outscored the Knicks 19-8 to creep within 19 (93-74) to begin the final period. Shumpert scored six of the next eight points, putting Orlando out of its misery. Carmelo Anthony made the most of his evening finishing with 25 points in 26 minutes, his best game so far this season. He rode the exercise bike to keep his tender groin warm when he wasn't in the game. Said Anthony afterward, "I just wanted to come out with a focus. My shot was falling today." The New York Knicks have now won eight of their last nine games and their last six-in-a-row at home. They will be without Stoudemire for at least the next 4 weeks and Lin and his tender knee is on a day to day basis. Interim head coach Mike Woodson has no choice but to go with a smaller line-up. "We will stay that way for a while," he said afterward. "Teams have to match up with us." 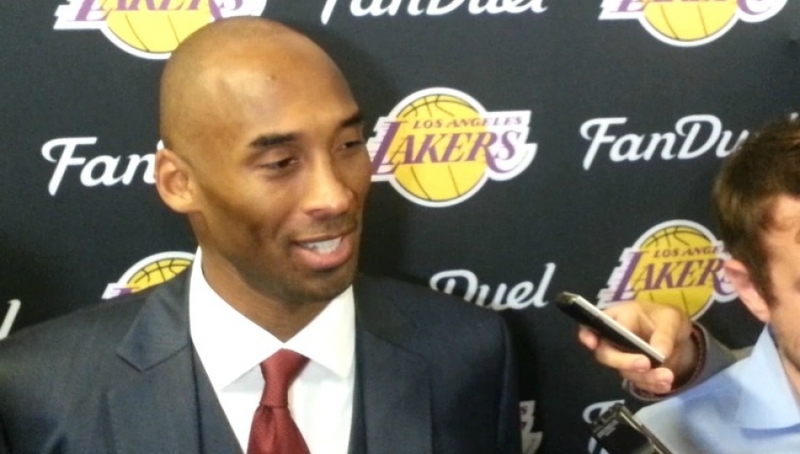 He hopes the team continues to not only rebound but to keep the turnovers to a minimum. The Knicks out-rebounded the Magic by 15 (49-34) and had seven fewer turnovers (7-18). They travel to Atlanta Friday night before returning to the Garden to face Cleveland on Saturday night. With a crowd of more than 16,500 fans, the Brooklyn Nets won its second back-to-back game against the Orlando Magic, with a final score of 82-74 at The Barclays Center on Sunday night. Brook Lopez led the team with 20 points, while Kris Humphries landed his second double-double of the season with 14 points and 21 rebounds. Orlando's Glen "Big Baby" Davis finished with 19 points and 10 rebounds. Orlando only led the game once-- early in the first quarter. Despite the win, Nets head coach Avery Johnson still wants the team to start growing in areas. "This is the second time we've had a substantial lead and couldn't hold it," said Johnson. "Mentally, we weren't ready for a full game. We should've scored more," Johnson continued. The Nets (3-2) take on Kyrie Irving and the Cleveland Cavaliers (2-5) Tuesday at The Barclays Center. Tonight the Brooklyn Nets met up with the Orlando Magic for the third time this season and for their second meeting at the Barclays Center this season. With a team effort, the Nets did not disappoint the hometown fans. Starting the New Year on a good note, the Nets held Orlando to under 100 points and came up victorious 98-95. What is significant about this win is that it is the second night of a back-to-back, something that this team hasn’t had much success with and tonight’s accomplishment wasn’t lost on Nets head coach Kenny Atkinson. In addition to showing off his defensive chops with three blocks, Crabbe also scored 15 points and eight rebounds. Brooklyn Nets rookie center Jarrett Allen is blossoming right before our eyes. He led the Nets in scoring tonight with a career-high 16 points. He also added eight rebounds and two blocks. Caris LeVert scored 15 points, eight assists, and five rebounds for the Nets. LeVert has also registered seven or more assists in each of his last four games, becoming just the second Net since the 1983-84 season to record seven or more assists in four straight games off the bench. LeVert and Allen are emerging as a dynamic duo. When they are both on the floor, LeVert will find Allen because he knows that unlike a lot of big men, Allen keeps his eye on the ball. To his credit, with just two months of NBA playing time, Allen is being recognized as a “catching and going” type of big man. And, LeVert is not too shabby either as he’s tough to defend with his great on-the-court decision-making. 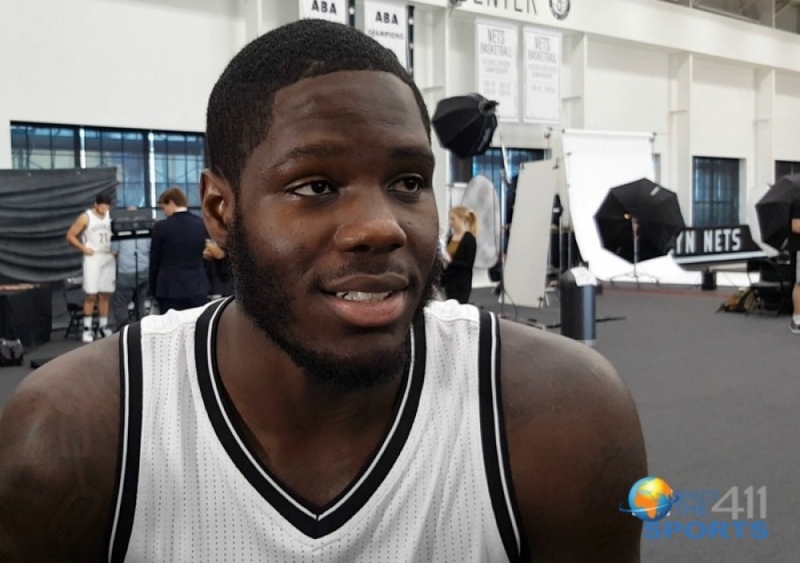 DeMarre Carroll scored a double-double adding 14 points and 10 rebounds, this is Carroll’s fourth double-double of the season, and; Rondae Hollis-Jefferson chipped in 13 points and seven rebounds for the Nets. Orlando had five players in double digits. Aaron Gordon led all players with 20 points and 12 rebounds. Elfrid Payton added 17 points and seven assists. Bismack Biyombo scored a double-double with 13 points and 17 rebounds. Also scoring 13 points for Orlando was Evan Fournier, and; Jonathan Simmons chipped in 10 points and five rebounds. Next up, the Brooklyn Nets meet the Minnesota Timberwolves on Wednesday, January 3, 2018, at the Barclays Center at 7:30 p.m. According to Atkinson, Nets recent addition from the Philadelphia 76ers, Jahlil Okafor, could make his debut at home for the Nets on Wednesday. In front of a home-opening crowd of 16,144 people at the Barclays Center on Friday, the Brooklyn Nets defeated the Orlando Magic 126-121. 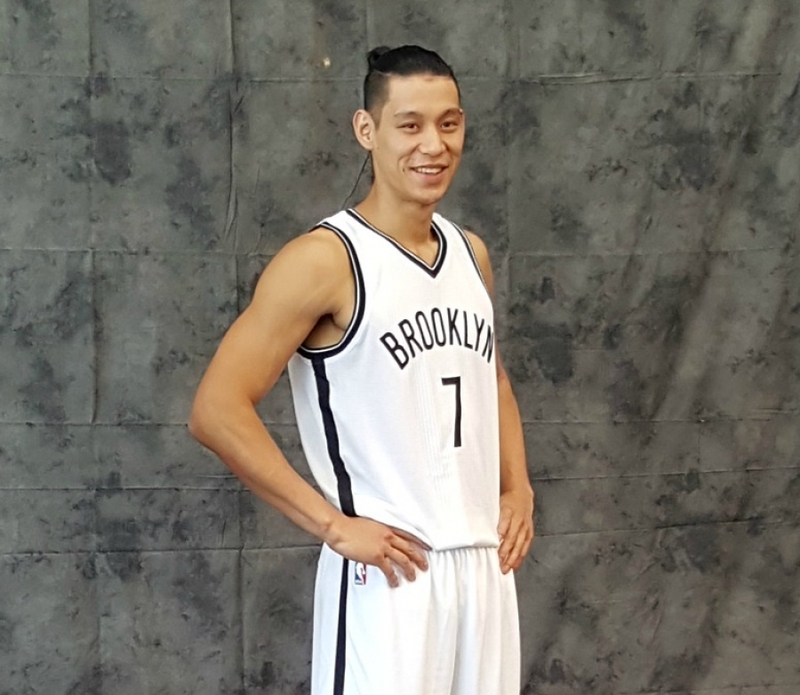 Before the game’s start, no one knew what to expect as Jeremy Lin, the team’s leader, was in the hospital. He had successful surgery on Friday morning to repair a season-ending ruptured patella tendon in his right knee that he injured in the season opener against the Indiana Pacers. With Lin out, there was fear that the Nets could repeat a lost season like last season. So, this win against the Magic felt good. Despite Lin’s absence, it showed that the Nets’ hard work over the summer and the new acquisitions paid off. "Honestly, that's our brother, so we don't want to forget that. You don't want to forget about him," D'Angelo Russell said. "But going out there I feel like guys knew they had to step up and they did." Russell, Trevor Booker, and DeMarre Carroll all scored 17 points. Spencer Dinwiddie added 16 points, five rebounds, and five assists. Booker added 11 rebounds and made the clinching free throws with 0.9 seconds left after Orlando's Evan Fournier missed a tying 3-point attempt. Carroll chipped in eight rebounds to go along with his 17 points. 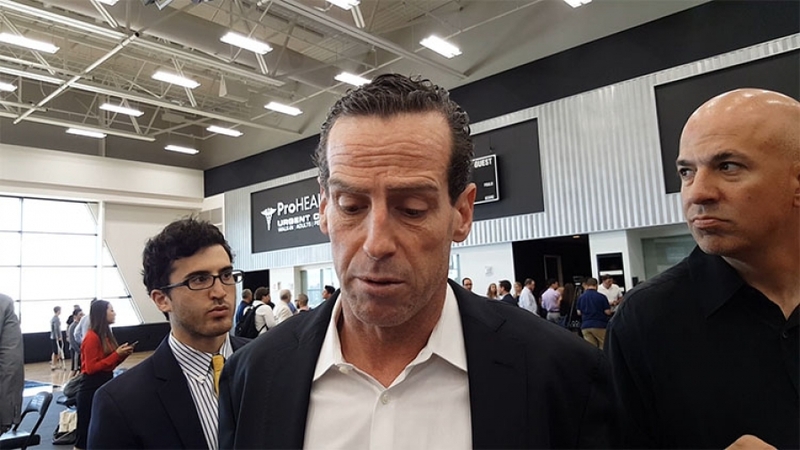 Even though the Nets had a favorable outcome, Nets head coach Kenny Atkinson had some reservations about the win. He gave the team some slack because the players had to get used to new rotations without Lin. 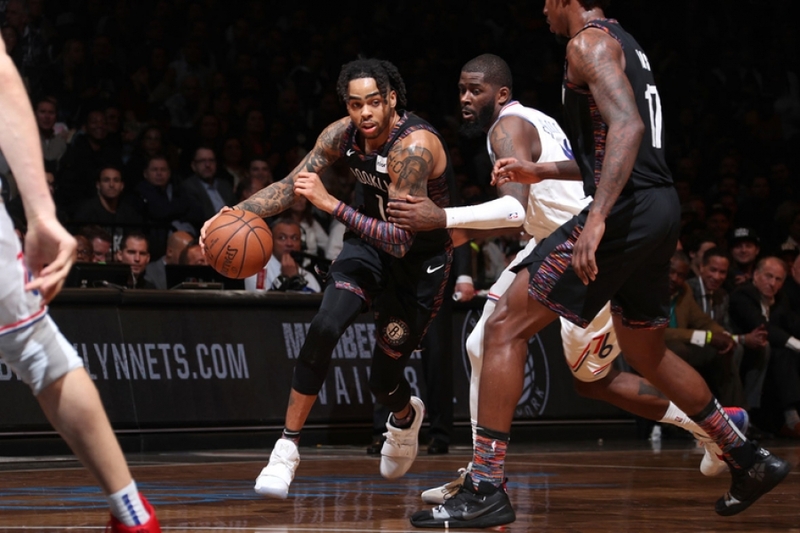 However, not totally satisfied because of the Nets' play on both ends, Atkinson said, "but still, I think we can do a better job than we did tonight." Atkinson doesn’t want his team to get used to bad habits because they could end up like Magic center Nikola Vucevic on another day. He had a career-high 41 points in 35 minutes. However, it was not enough to lift his team past the Nets, as the Magic broke down defensively. But one can bet Nets rookie Jarrett Allen left the Barclays Center feeling good. He scored 9 points, pulled down 2 rebounds, and blocked a shot. Allen even had an opportunity to show off his athleticism. He had a crowd-loving in-your-face slam over Vucevic off of a Dinwiddie pass in the fourth quarter. Next up, the Nets play Atlanta at the Barclays Center on Sunday, October 22, 2017, at 3:30 p.m. The Brooklyn Nets are now officially on their “glow-up” tour, as they beat the Orlando Magic 121-111 at the Barclays Center on Saturday evening. The Nets have now won three of their last four home games. There is a lot to like about how the Nets are playing lately and specifically how the team played against the Magic. The Nets scored a season-high 72 points in the paint, outscoring the Magic 72-32 in the painted area. Hello! 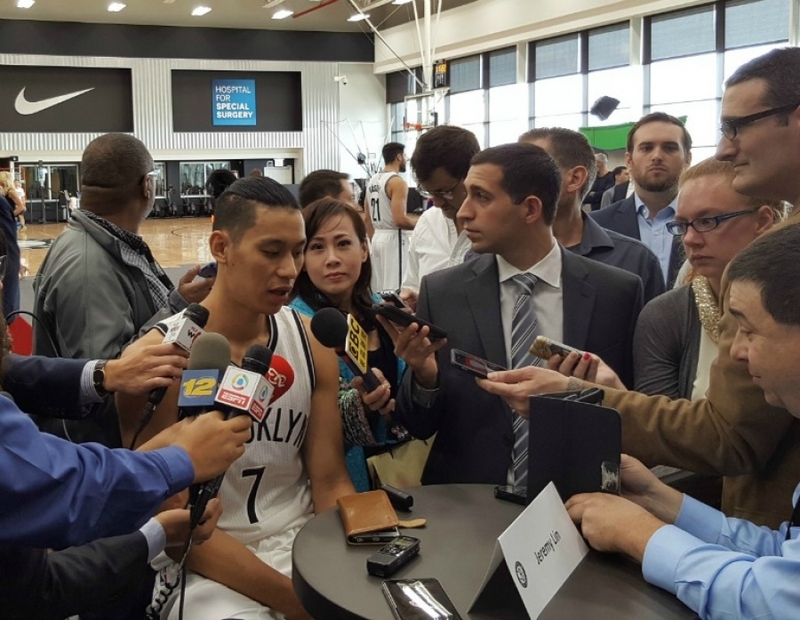 “I thought we were very unselfish today and we got back to moving the ball – that’s the first thing J-Lin (Jeremy Lin) brought out, coming out into the start of the game,” Brooklyn Nets center Brook Lopez said about what got the offense clicking in tonight’s game. “I thought we moved the ball very well. Honestly, for me, I thought the bench did such great job tonight. They came in and picked us up in the second and again in the third. They were just spectacular out there and they were the difference tonight,” Lopez continued. Yep, the Brooklyn Nets’ bench did show out tonight. The Nets’ reserves outscored the Magic’s reserves 72-16. And this was not a fluke, as the Nets’ bench outscored Phoenix’s bench on March 23 with a season-high 81 points and back in January against New Orleans with 73 points. Nets head coach Kenny Atkinson liked how his bench played in big spots. 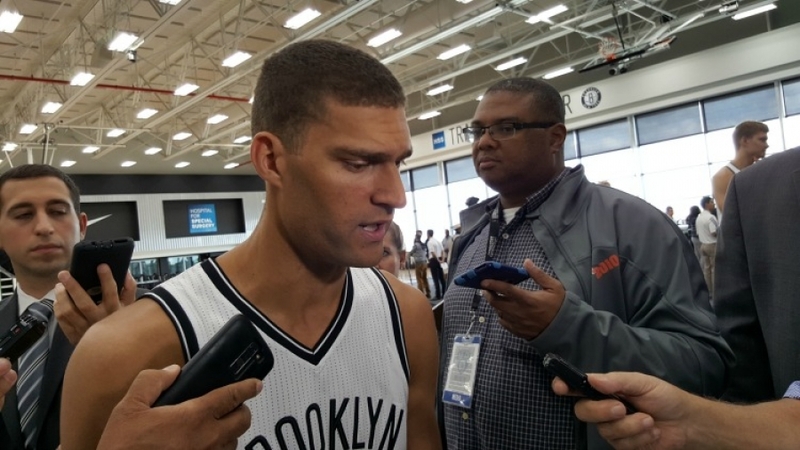 Lopez was overjoyed about the Nets reserves. At the end of the day, the game’s outcome is what really matters. However, in the first few minutes, one could not tell that Brooklyn would have such a great night. Orlando came out the gate strong scoring nine points to Brooklyn’s two in less than 3 minutes. However, like a ship in rough seas, the team got righted; Lopez scored 12 points in under 8 minutes during the first quarter. A Booker jump shot at 2:48 in the first, gave the Nets its first lead, 27-26. A back and forth ensued and a Sean Kilpatrick jump shot with less than 11 seconds to go helped the Nets to end the first quarter tied at 33-33. Brooklyn ended the second quarter 60-53 over Orlando; and then, it was all even 89-89 at the end of the third. And then came the fourth quarter when the Nets went on an 11-0 run and the Magic, without an answer, could not get over the hump. The Nets’ bench took over offensively and defensively. Off the bench, Spencer Dinwiddie and Booker helped to break open a big lead for the Nets in the fourth, which did not go unnoticed by Atkinson. And the performance of the Nets’ bench was certainly on the radar of the Orlando Magic head coach Frank Vogel. For the win, Lopez scored a game-high 30 points; Booker had a season-high 23 points, he also added eight rebounds; Kilpatrick contributed 15 points, five rebounds, and four assists, Justin Hamilton chipped in 13 points and five rebounds. To the Magic’s credit, four of its five starters scored over 20 points: Vučević had a team-high 27 points and 11 rebounds and Aaron Gordon scored 22 points and 15 rebounds. Although both Evan Fournier and Elfrid Payton each had 20 points, Payton had a triple double with 11 rebounds and 11 assists to his tally, which was overshadowed by the Magic’s loss. The Magic’s loss is the Nets’ gain and Lopez speaking for the team is excited that the hard work, the grinding it out, and staying focus through the losses was very important to getting them on the winning track. The Nets will be back at it tomorrow for a home back-to-back, as they face the playoff-bound Atlanta Hawks at 6:00 p.m.